I'm changing the way I approach things; I think we may all need to. So, hello. I'm here for you, whoever you are. Reach out if you need me. Closed fist or open hand, whatever you need. 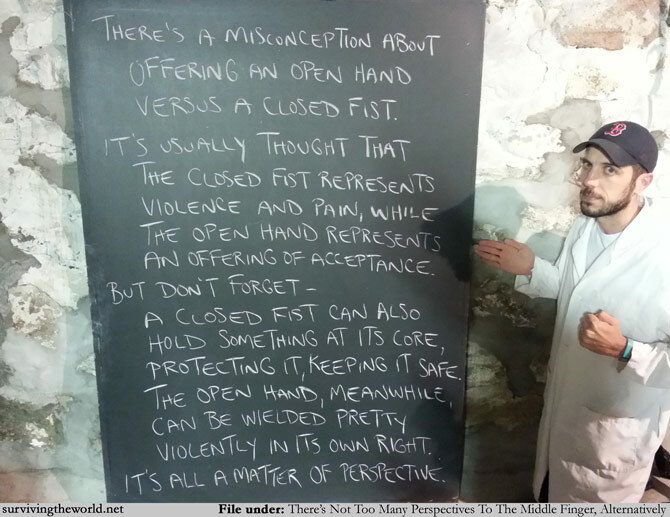 I first read the comparison between the open hand and closed fist many years ago, and it's probably a comparison that hasn't really stuck in anyone's memory. But try to remember it as things happen moving forward. It's a nice counterpoint of behavior when others try to dictate your appearance.